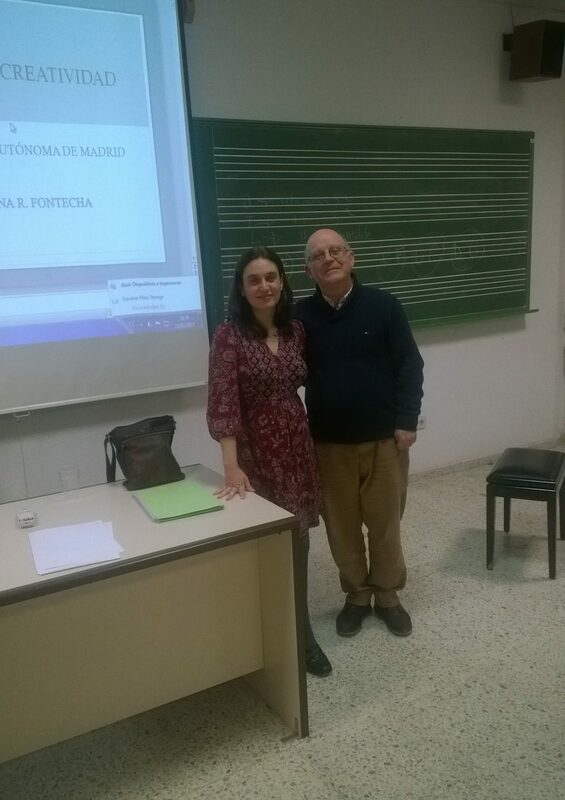 On February 2017 I had the pleasure of being a Guest lecturer at the Master in Artistic, Literary and Cultural Studies and Degree in History and Music Sciences programs at the Autonomous University of Madrid. In one of the seminars I talked about the importance of time in music and how composers like Stockhausen, Messiaen or Gubaidulina have tackled the issue. I another session I discussed analysis and creativity, addressing compositional implications of the Set Theory and Transformational Theory. I found a warming environment, with an involved audience that was willing to participate and learn. Thanks to Alfredo Vicent for inviting me.